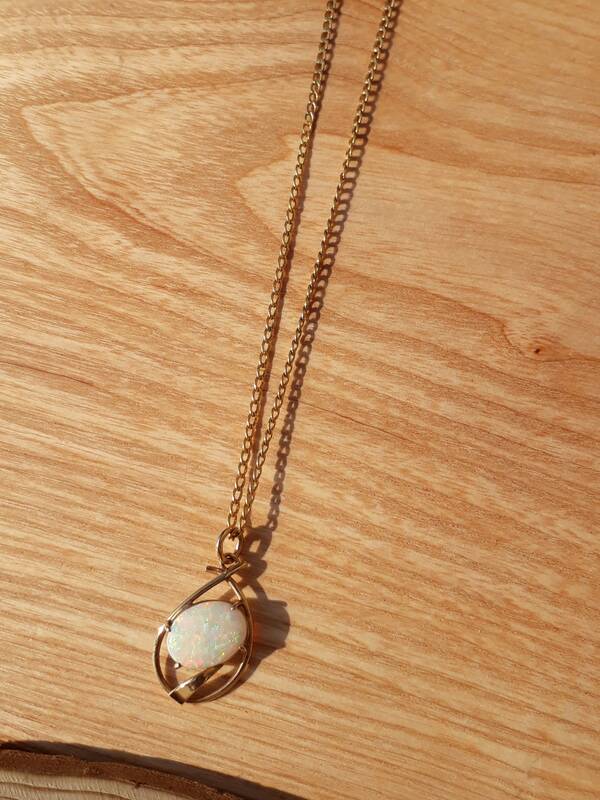 A Beautiful Australian Crystal Opal Pendant Set in 9ct Yellow Gold On A 19 Inch Curb Chain. 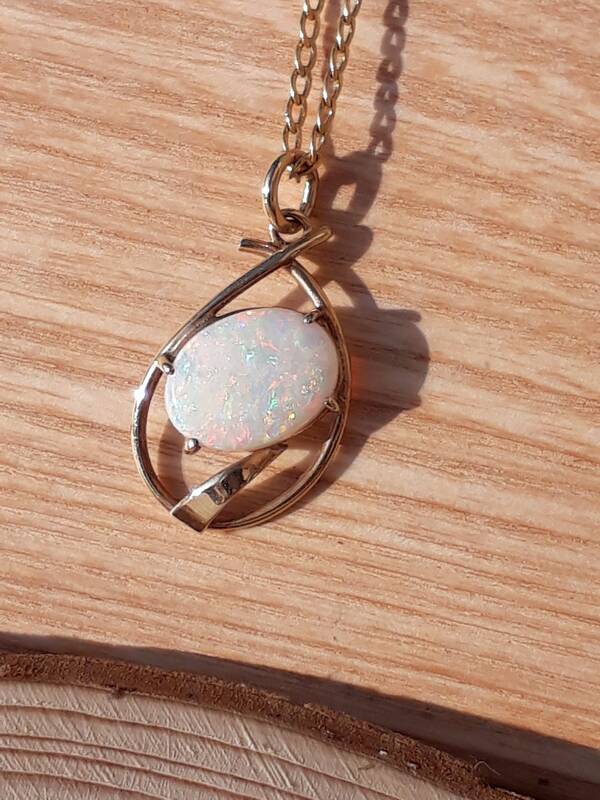 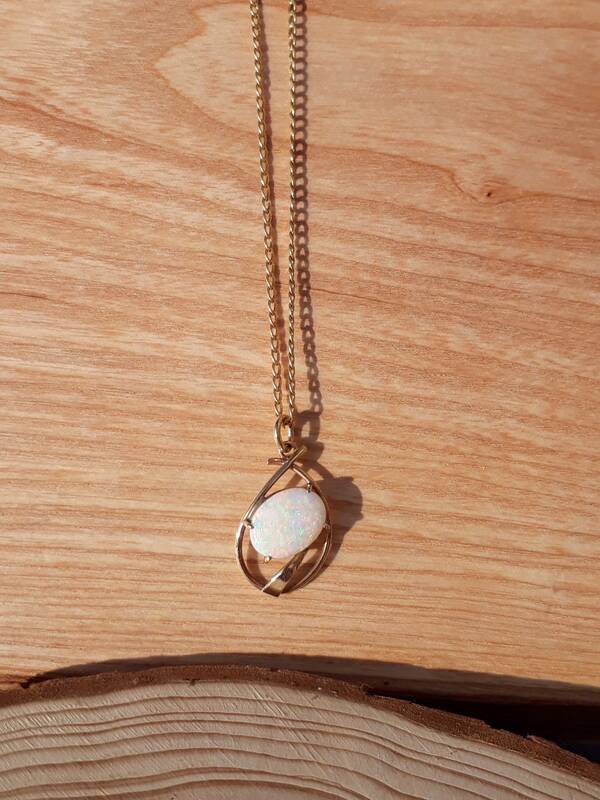 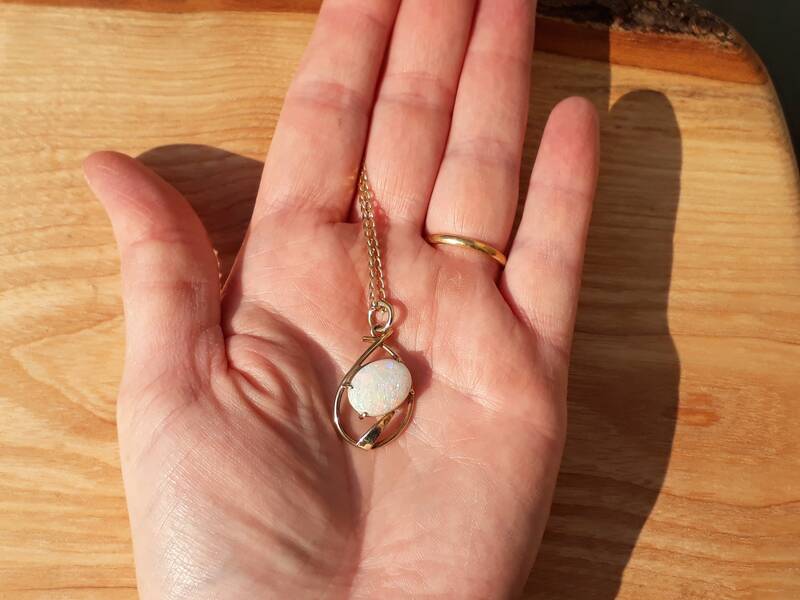 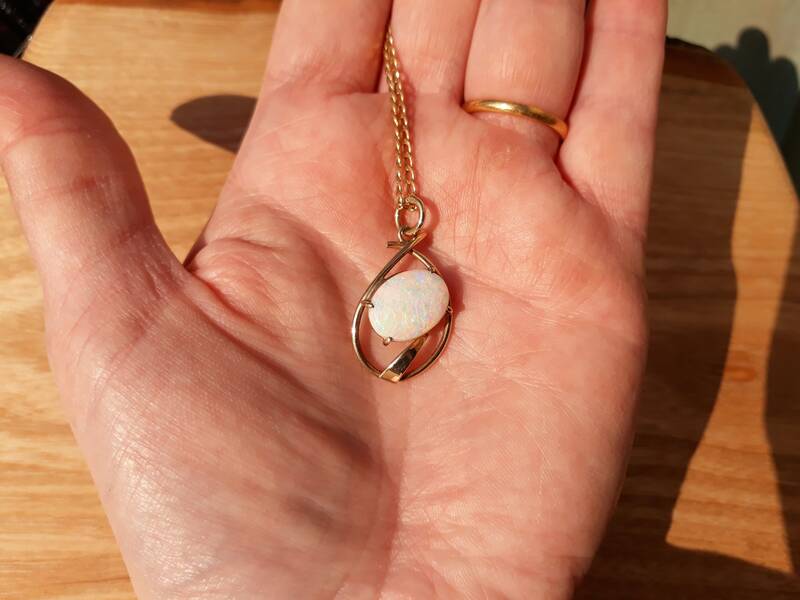 Set in a Simplistic Design with a Large Coober Pedy Opal Within The Centre. 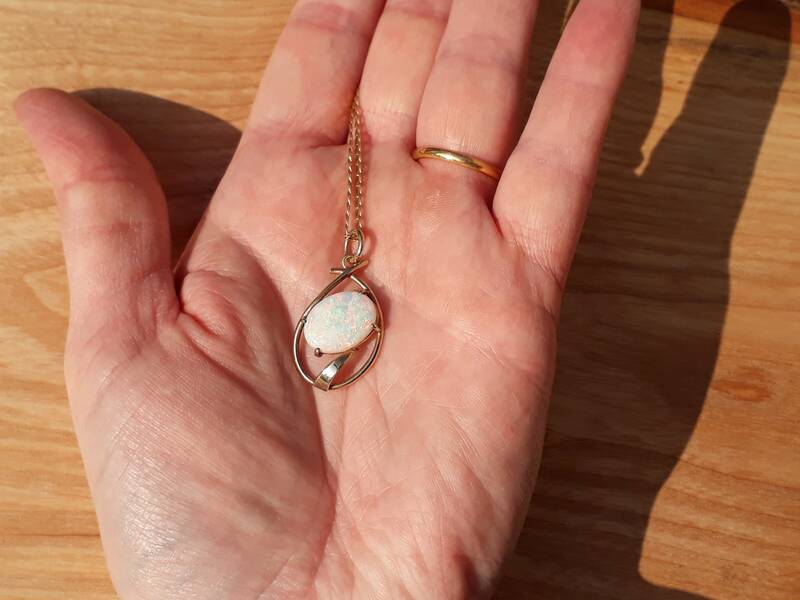 The Opal Measures 14 mm x 10 mm.